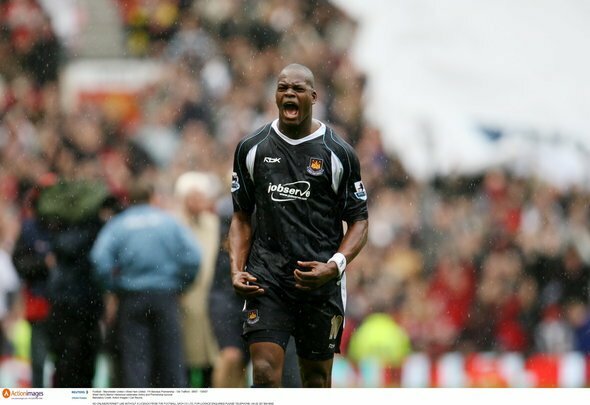 West Ham United cult hero Marlon Harewood believes that the Hammers should be aiming for a top five finish next season. The Hammers have made undoubted progress under Manuel Pellegrini this term, but are still just 10th in the Premier League table. Despite that, Harewood is targeting a big step forward next time out. “We have got some top class players at the club, there’s no doubt about that,” he told Love Sport Radio. “If you’re looking at West Ham, I was saying the top five, top six teams, they should be there in my opinion. This is rather ambitious from Harewood, don’t you think? Clubs should always be aiming for as high up the table as possible, but you have to be realistic at the same time. West Ham simply aren’t going to be a top five team next season, there’s just no way. Liverpool, Manchester City and Tottenham Hotspur are firmly entrenched in the top four at this point, while Manchester United only look like they’re going to get better if they continue on their current trajectory. Then you’ve got Arsenal and Chelsea, before you even come to the likes of Watford, Everton, Wolverhampton Wanderers and Bournemouth. All of those sides are making huge progress and it’s going to be difficult to leapfrog them all into the top five. Harewood is right, though, they do have some top players. The likes of Lukasz Fabianski, Felipe Anderson and Declan Rice are undoubted talents, but top five is too much to ask at this stage.